New: Exacta GPS-precision Fertilizer Injektor | Schuitemaker Machines B.V.
Schuitemaker offers in her fertilizer program a GPS-precisionfertilizer. Accurate fertilizing becomes a fact. Always a perfect connection to the already fertilized part and no overlap on the flared land and the headlands. 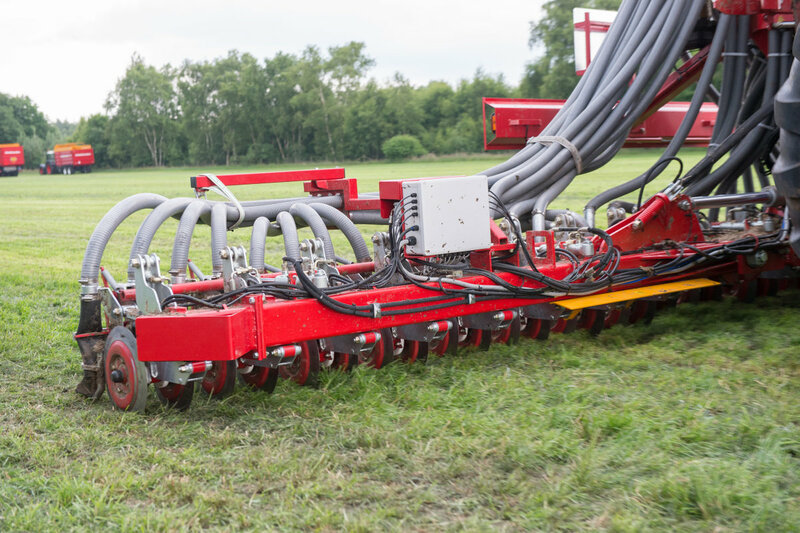 Schuitemaker Exacta Coulter Injektors have been a proven concept over the years in the fertilizer world. They are known for their reliability and durability. Schuitemaker delivers the GPS-precision fertilizer in three variations; GPS-Basic, GPS-Basic+ and GPS-profi. With the Basic options you can close per section or per element, with the GPS-Profi the elements are also lifted after closure. This year ten machines with GPS-technology have been extradited and they work to their full satisfaction.